Pearl is the daughter of Kilkenny Lesandra, who jumped at Grand Prix level. Her sire Ferro achieved at the highest level in dressage, representing the Netherlands at the Olympic Games and the World Equestrian Games. 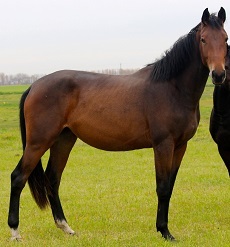 Pearl carries a Preferent predicate based on her successful progeny, she is the dam of three Keur predicate daughters and grand dam of Blossom (Lupicor x Larino) 2010 NA-KWPN Winner of the Gert van der Veen Award & 2010 NA-KWPN Jumping Champion. Quasimodo Z jumped at Grand Prix level with Morten Djupvic. Quasimodo's dam, Caloma Z, a Grand Prix horse at the young age of 8, stems from the Loma stam of Sietse van Dellen, known for producing good sport horses, excellent inspection horses and approved stallions. From his direct mother line there are as many as 41 horses running at Z level up to International G.P. 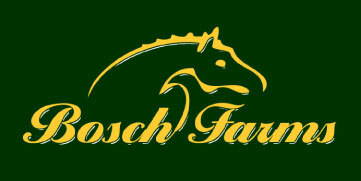 level, such as Finesse (Emiel Hendrix), Watascha (Albert Voorn), Paloma (Eric van der Vleuten), Stealth Sprenger (Rich Fellers) and VDL Jupiter (Ulrich Kirchhoff). Offspring of Quasimodo Z can be classified as pedigree showing horses with a beautiful head, good neck, a lot of front and almost always a dark-brown colour with a few white marks markings. They move supple through the body and free jump with a lot of quality.